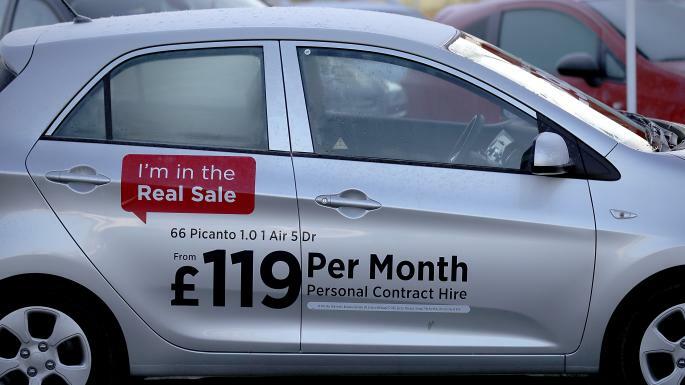 The boom in car loans has been the key driver of the rapid growth in consumer credit over the past two years, according to Mark Carney, and is being closely watched by financial regulators. The governor of the Bank of England said that while policymakers were “relatively sanguine” about banks’ exposure to car loans, the “overall picture does bear watching”. 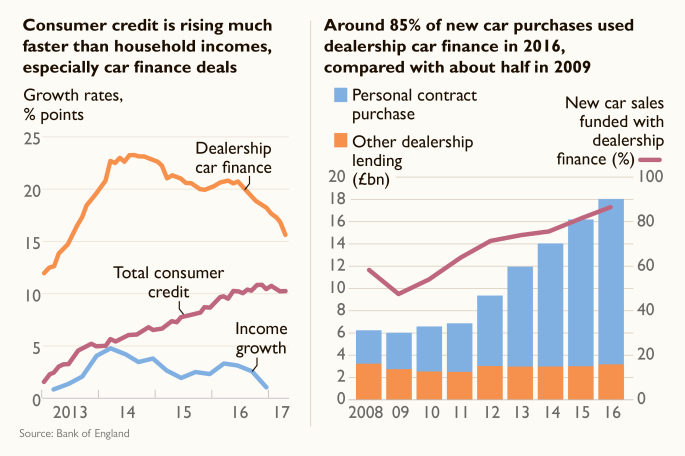 Three quarters of the total growth in consumer credit since 2012 has been driven by car loans, with nearly 90 per cent of new cars sold using finance deals, mostly personal contract plans. These allow people to secure cars for monthly payments in a finance arrangement that means the owner in effect leases a vehicle for three or four years rather than buying it outright. Instead of paying the cost of the car, the buyer pays the difference between its price and its expected value at the end of the contract. They can then pay a large “balloon payment” to own it or switch to a new deal with a new vehicle. This rising tide of credit means that the car industry has become vulnerable to negative shocks, which could affect lenders and consumers. The Bank’s financial policy committee said that it estimated total exposure to car finance to be about £20 billion and had been testing what would happen if a large number of people decided to return their cars at once. This would result in their value falling below the figure the banks estimated at the start of the contract. The FPC has calculated that if all PCP borrowers returned their vehicles and the value of used cars fell by 30 per cent, the market-wide losses could be 7 per cent to 10 per cent of the total outstanding stock of car finance. However, banks and regulators appeared divided on the risks posed by the car finance market. Andrew Bailey, chief executive of the Financial Conduct Authority, said that car finance had to be watched closely. Regulators needed to focus their efforts more on consumer credit and “vulnerable sectors of society” than the stability of the system. Sir Vince Cable has warned that an “economic storm is brewing”, claiming that Britain’s reliance on debt-fuelled consumer spending has become “unsustainable” with Brexit negotiations getting under way (Tom Knowles writes). The Bank of England has said that it is continuing to oversee banks’ preparations for Britain leaving the European Union in 2019, including the possibility of an abrupt exit without any trade deal, potentially cutting off banks from their European customers. However, Sir Vince said: “The Bank of England is forcing banks to prepare for tough times ahead, but there is only so much it can do to mitigate the economic impact of Brexit. It is up to the government to change course and protect people’s jobs and living standards by keeping Britain in the single market and customs union.